My mother used to call me a valkyrie, she wasn’t that far off. In Norse mythology, a valkyrie is one of a host of female figures who choose those who may die in battle and those who may live. Selecting among half of those who die in battle the valkyries bring their chosen to Valhalla, ruled over by the god Odin. Valkyries sometimes appear as lovers of heroes and other mortals, they are sometimes described as the daughters of royalty, sometimes accompanied by ravens and sometimes connected to swans or horses. 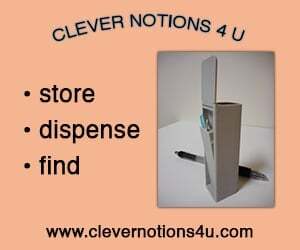 The name came after the design. 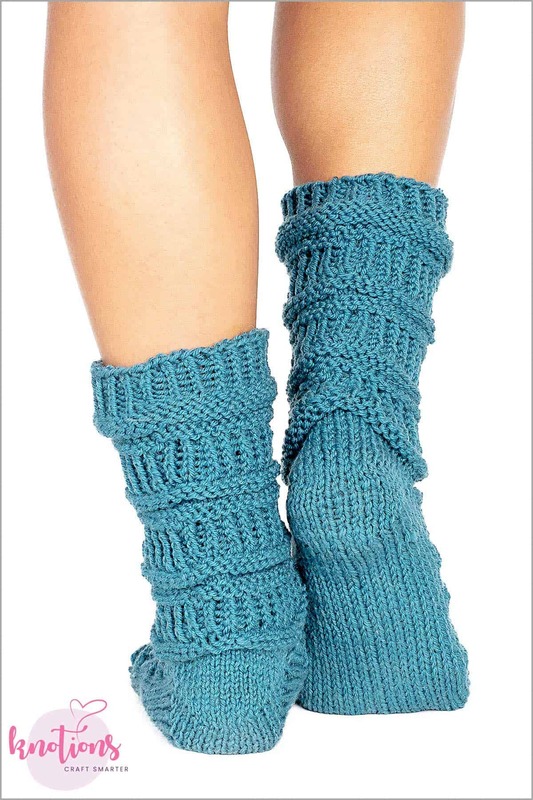 I was designing a hygge boot sock for myself to wear as house socks. When the design was finished, I thought, this is something a female warrior would wear. Thanks to Carol for knitting the sample! Knee high (trouser, crew length, mini crew) to make 16 (12, 8, 4)” / 40 (30, 20, 10) cm long leg and a 10″ (26 cm) foot. 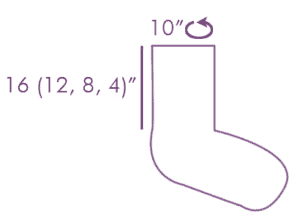 Editor’s note on sizing: The circumference may seem large to you, but given the larger yarn, it’s actually sized to fit an average-sized woman’s foot. These socks fit the designer’s foot and the circumference of her foot is just 9.25″ (23.5 cm) around. 17 sts and 23 rows = 4” [10 cm] in St st. 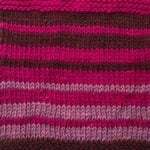 This sock can be knitted in 4 different lengths; Knee high, trouser, crew and mini crew just by adding pattern repeats to the leg. 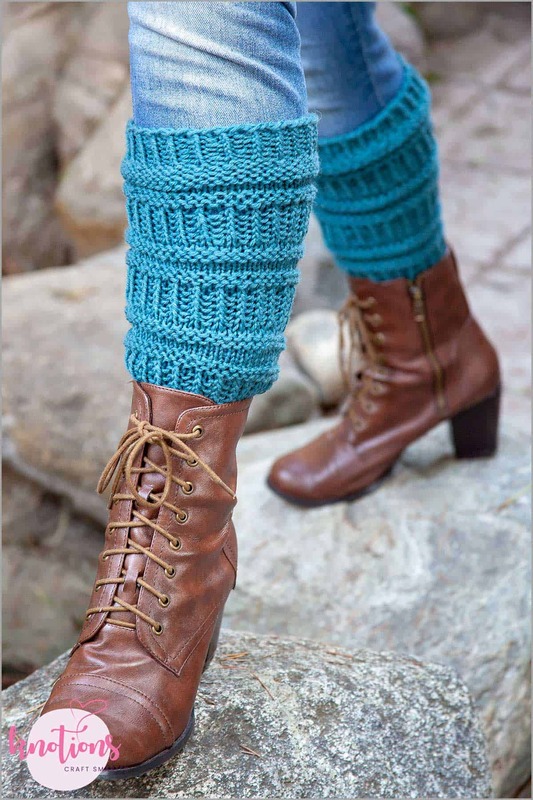 4 rounds of the pattern repeat is knitted with smaller needles to create a 3D effect on the leg. Using the larger needles, CO 56 (50, 48, 44) sts and join for knitting in the round. Rnd 1: K 14 (13, 12, 11), PM, K 28 (26, 24, 22), PM, k to end. Rnds 2-7: *Ktbl, p1, rep from * to the end. Rnds 12-15: K to end. Rnds 1-2: P to end. Rnd 3: K to end. Rnds 4-8: *Ktbl, p1, rep from * to end. Rnd 9: K2tog, k until 2 sts rem, k2tog. Rnds 10-11: P to end. Switch back to larger needles. Rep these 15 rnds 7 (4, 3, 1) times total; 42 sts. Set up row 1: K to 1 st before m, w&t. Set up row 2: P to 1 st before m, w&t. There are 9 sts between center of sole and markers; it takes an even number of W&Ts to be in the correct position to work the whole round. Row 1: K to 1 st before wrapped st, w&t. Row 2: P to 1 st before wrapped st, w&t. Rep these two rows until 6 sts remain unwrapped in the middle. 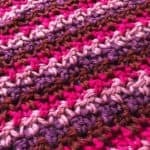 Knit one whole round, picking up wraps and knitting them as you come to them. Row 1: K to 1 st before m, w&t. Row 2: P to 1 st before m, w&t. Row 3: K to 1 before the wrapped st, w&t. Rep last 2 rows until 6 sts remain unwrapped in the middle. SET-UP FOR FOOT: Reposition markers as follows: K 10, picking up and knitting wraps as you come to them, pm, knit to next m, remove it, knit to 2 sts before next m, pm, k2, remove m, k remaining 9 sts, picking up and knitting wraps as you come to them. You will now have 21 instep stitches and 21 sole stitches separated by markers. Rnd 9: K to end. Rep these 15 rnds until the foot measures 1.6” or 4 cm shorter than your total foot length, measured from the full rnd knitted at the heel turn. Rnd 1: K to 2 sts before m, ssk, sm, k2tog, k to 2 sts before m, ssk, sm, k2tog, k to end. Rep these 2 rnds until 10 sts remain. Cut yarn, leaving about a 12″ tail. 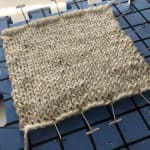 With a tapestry needle, thread the yarn through both stitches twice, pull tight and sew in the loose end. If you prefer, seam toe closed with Kitchener Stitch or 3-needle bind off. Slightly steam the leg without pulling the fabric length wise, so that the knit sections don’t show. Steam the heel and foot, the knit sections are to be shown on the foot. 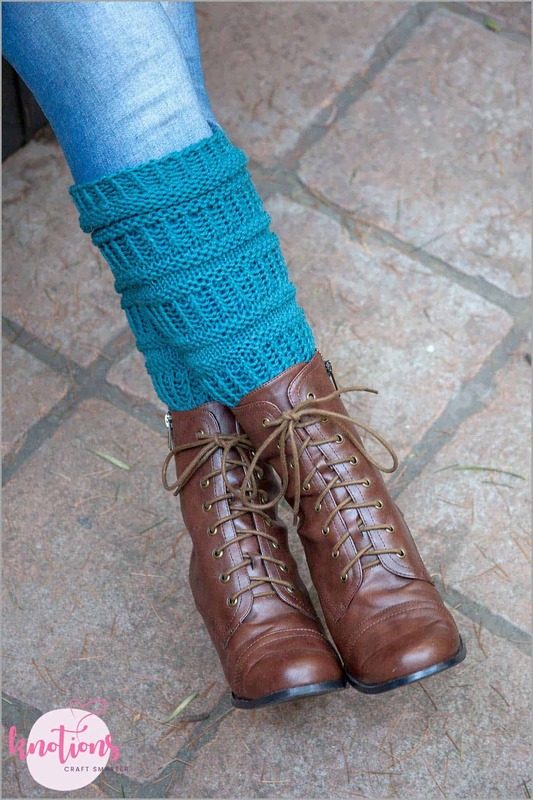 Annina likes to keep things simple and loves everything beautiful and cables! She doesn’t follow the mainstream but goes her own way. 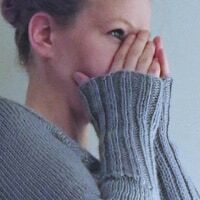 She’s been designing since 2009ish and has some 80 designs, mostly knitting but some crochet as well. She can mainly be found on her website, Instagram as @artesanitarium, Ravelry as Artesanity or in her Facebook Group. I’m getting ready to cast on these socks. I’m a little unclear about the needle size for the foot, should the larger or smaller be used starting at the heel?